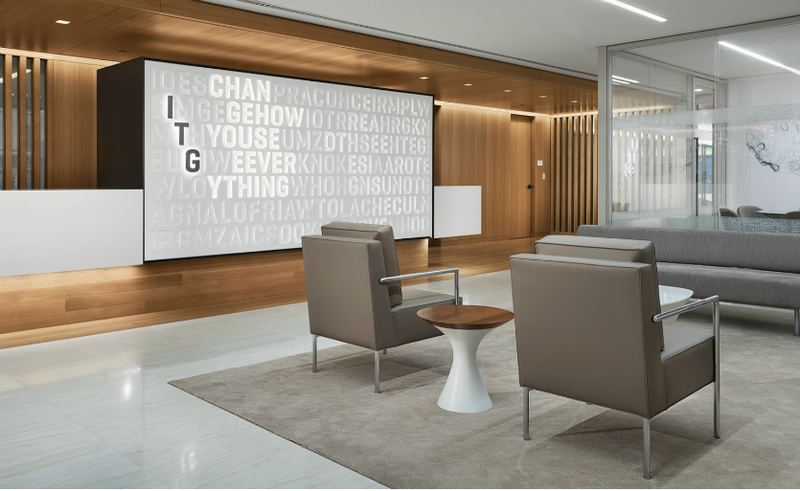 The Landor team created an immersive experience that encompasses brand signage, wayfinding, environmental graphics, and commissioned art. 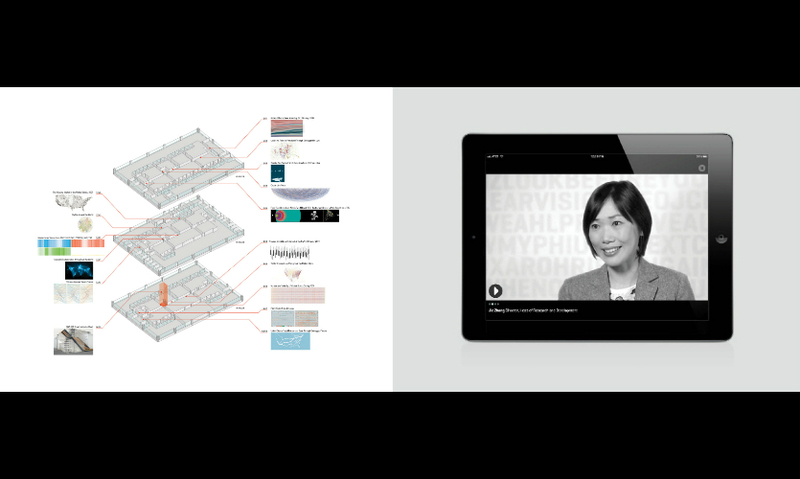 The core of the experience was built around the creative use of ITG’s data. 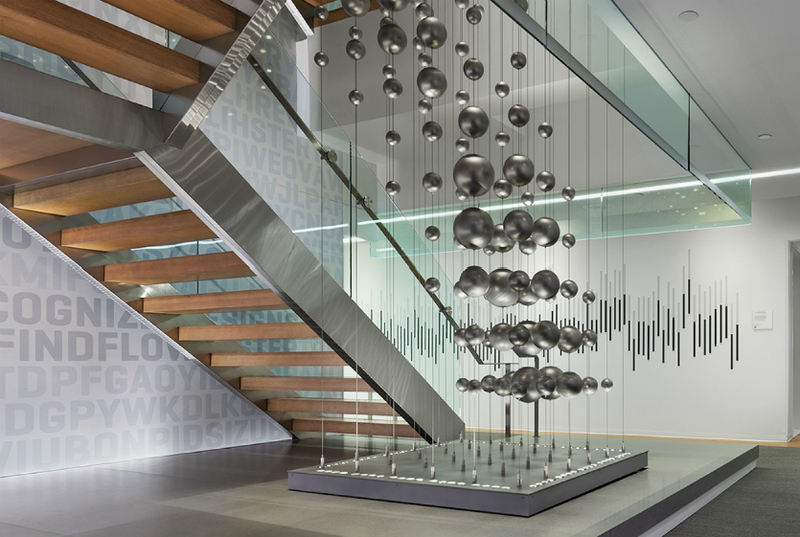 The design team developed and commissioned original art and sculpture to integrate with the architecture of the building. 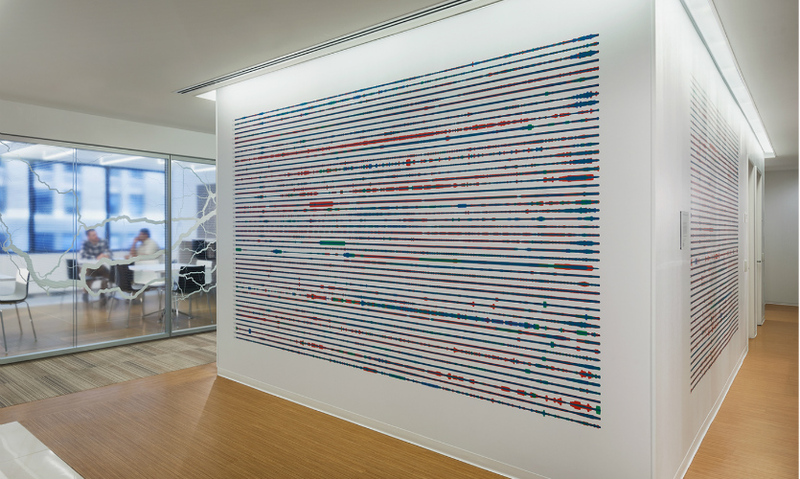 Each piece reveals hidden patterns and the unique beauty of data derived from diverse areas of research, from petroleum reserves to Chinese search rankings. 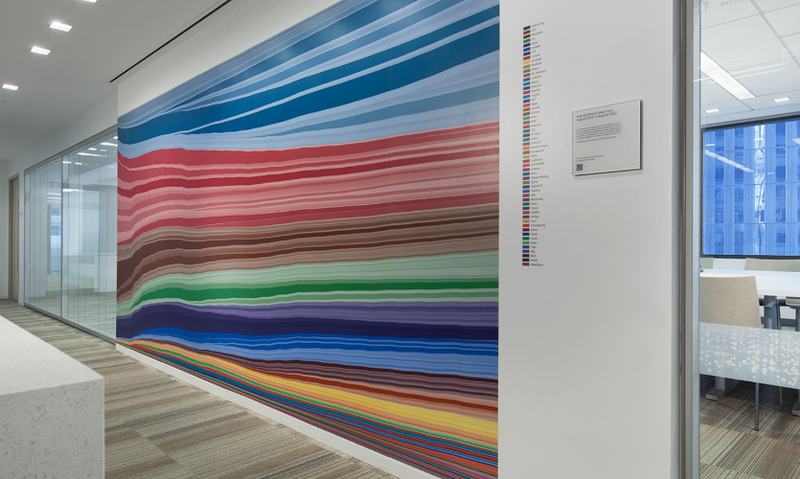 To help support the visitor’s experience and understanding of the headquarters experience, the team developed a responsive microsite that invites visitors to navigate the building to explore each of the installations in greater detail. 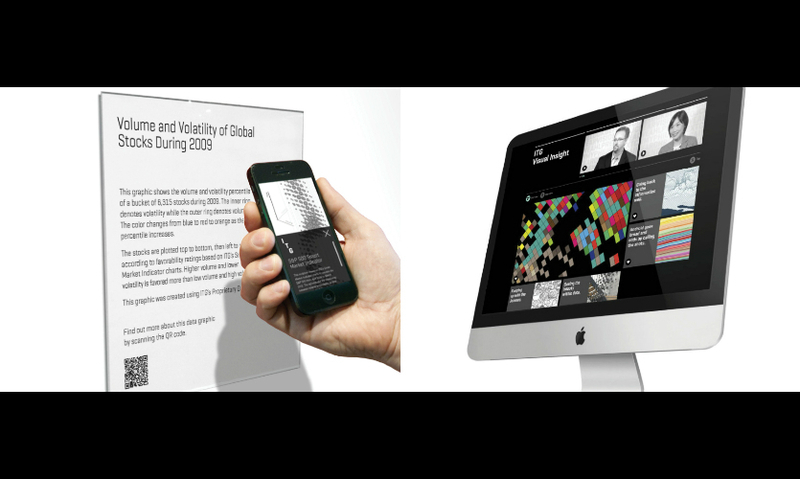 Visitors can access each piece via a QR code and watch the data come to life through animation and expert interviews. 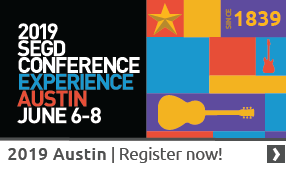 Find content in your area of interest in SEGD's Xplore Experiential Graphic Designindex. 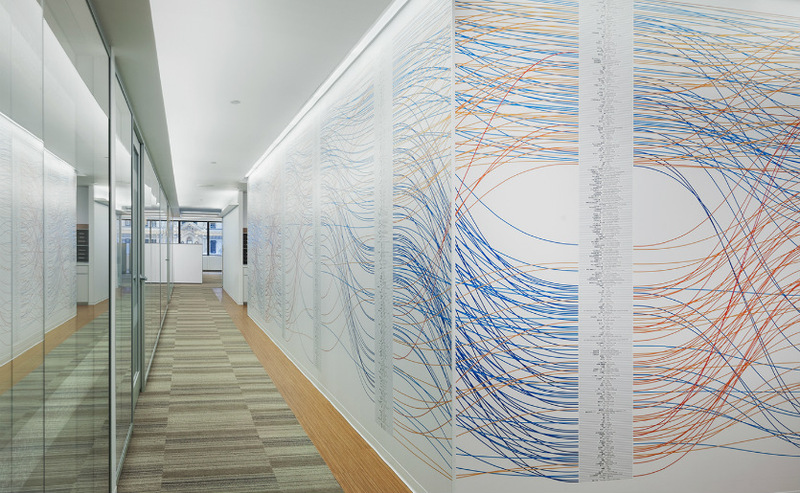 “This project elevates the information graphic to a stand-alone piece of art. The density of the data and the detail with which it is presented is impossible to comprehend as information only or on an intuitive level—there is simply too much of it. It asks us to appreciate the near unintelligible complexity of the patterns that derive from the super-abundance of data that we have at our fingertips.